Since 1999, Liner Products has led the way in manufacturing the highest quality CIPP tubes with an unparalleled commitment to the best customer service in the industry. From humble beginnings making tubes on tables and sawhorses out of an abandoned shoe factory, our small operation has grown into an ISO 9001:2015 certified 120,000 s.f. fully automated manufacturing facility employing several hundred personnel. Our management and technical teams have extensive experience in every aspect of CIPP manufacturing and installation. We work closely with our customers to develop solutions for special conditions and requirements, providing support from order to installation. 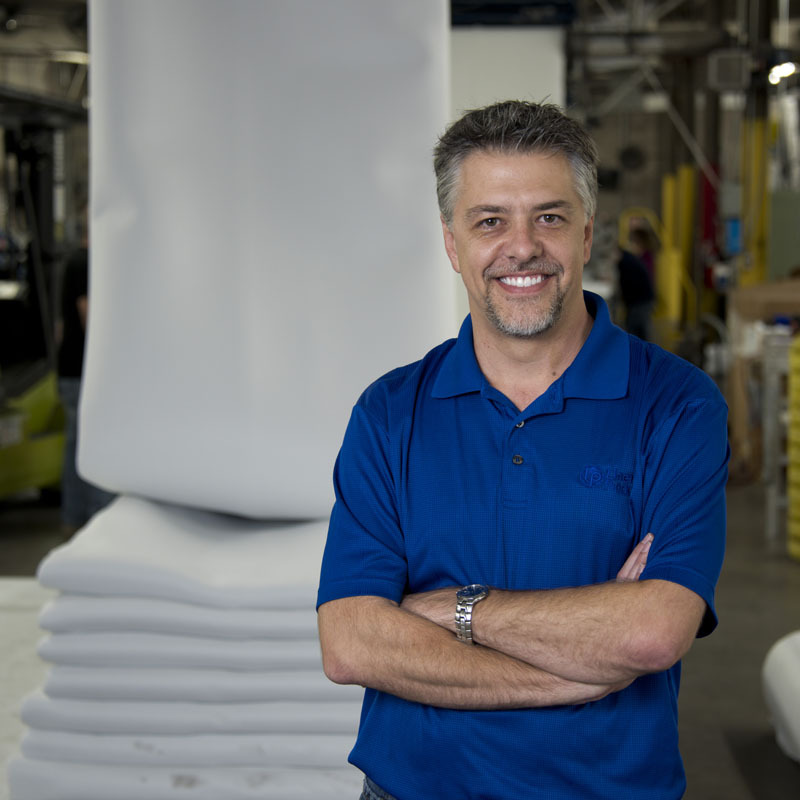 Brent has over 25 years of experience in CIPP material manufacturing. Originally tasked with setting up the Indiana-based Liner Products manufacturing plant in 1998, Brent has overseen several plant expansions and adapted the manufacturing lines to accommodate state-of-the-art processes and materials. With 15 years of plant experience, Justin provides the ever-important link between customer orders and plant operations. He specifies the detailed information necessary to ensure your liner is delivered when and how you ordered it. Justin also oversees the plant personnel assignments to ensure the facility is operating at peak efficiency. Keith has been working in the trenchless technology industry for over 25 years. His key responsibilities are to oversee the plant’s quality control procedures and operations and monitor the introduction of manufacturing process improvements, which is an ongoing task in the plant. He also leads the efforts to test and analyze new materials for use in Liner Products CIPP systems. Our recent addition to the Liner Products family, Danielle brings a wealth of experience and knowledge from her former position of overseeing a staffing agency to provide us with an “in-house” link to Human Resources. She runs our new employee orientation program and coordinates with quality and training staff to ensure all supporting resources are made available to Liner Products personnel to ensure the reliability and consistency of the end products. 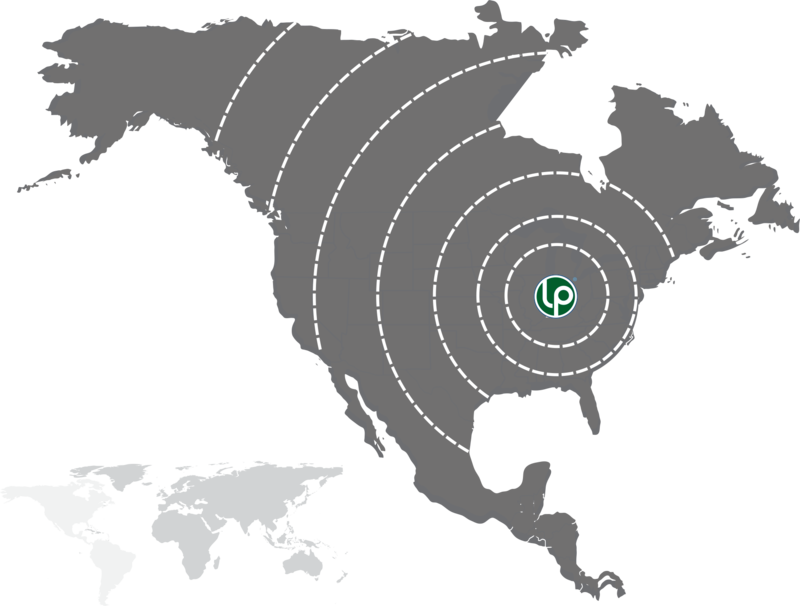 Liner Products proudly serves North America and beyond with our traditional nonwoven felt CIPP tube, and can provide UV and wet-out liners within the continental U.S. Our centrally located facility minimizes transit times – usually one or two days for most of the U.S. and Canada. Contact us today to learn how we can help supply liners for your next project.